Friend of IheartPGH sent this to me this morning. Procter&Gamble has a contest on their facebook page – the family that gets the most votes for their photo gets a trip to Hawaii for the probowl. 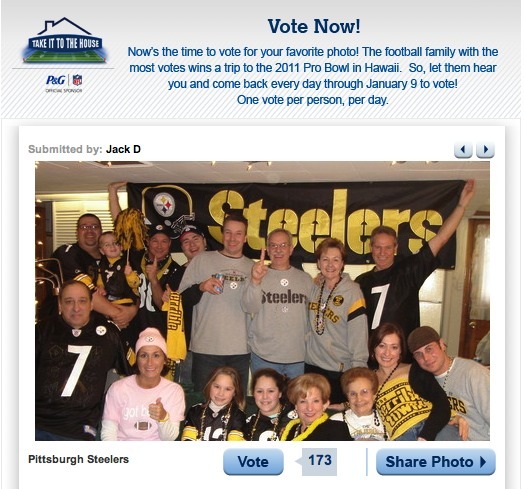 Currently Jack D. and his Steeler loving family are in 2nd place with 173 votes. Please stop by and cast a vote for the Steeler nation. Click here to vote!